Sol 2206, October 20, 2018. 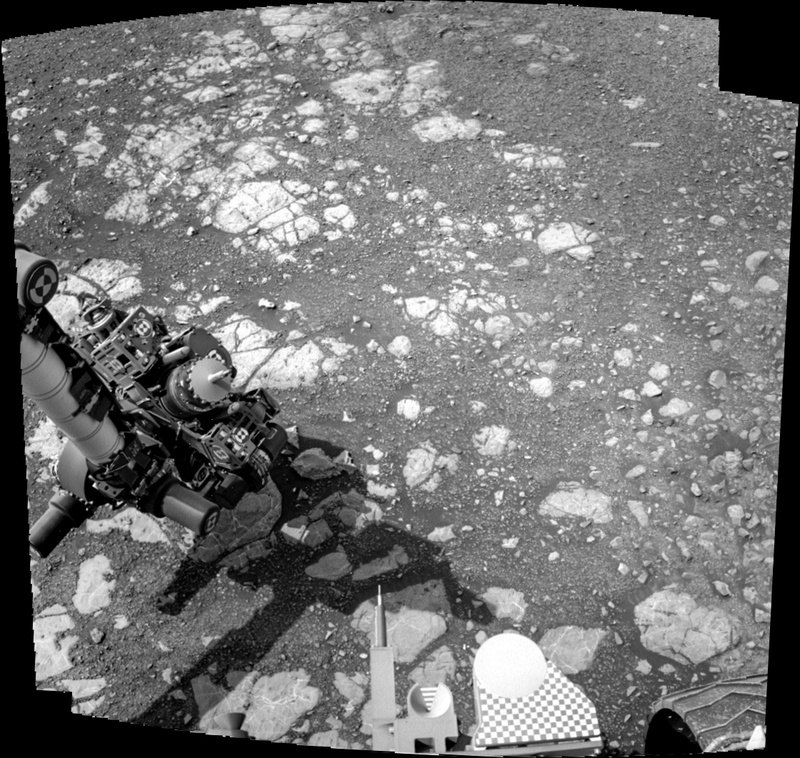 Curiosity was commanded to take two Navcam frames that largely overlap, perhaps as part of a test. This pair is from the left-side Navcam and is similar to the Sol 2199 image here, except for the time of day (about 1 p.m. local time here and 11 a.m. in the Sol 2199 image). Click the image to enlarge it. Sol 2206 raw images (from all cameras).